Integritas Consulting Group is a consortium of experts. 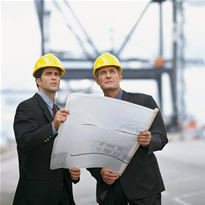 We are certified public accountants, engineering consultants, construction experts, and other professionals. Our multiple disciplines operate as one integrated team. With each discipline supporting the other, we can uniquely provide expert professional services to our clients. Our professionals collectively have in excess of 100 years of industry experience of working for state and federal governments, private owenership and financial institutions. Integritas Consulting Group has the combined resources and expertise to serve our clients in the role of an integrity monitor, overseeing the construction and privitization projects for the transportation and building industries.